A more recent addition to our shop, we started stocking Fairfax & Favor in September 2016. A fresh new brand by childhood friends Marcus Fairfax Fountaine and Felix Favor Parker hit the footwear industry in 2013 with the aim of supplying a British-Born luxury brand, in keeping with its country roots and bridging the gap between the country and the city fashion, with formal or casual wear. The Head quarters still remain in Norfolk. 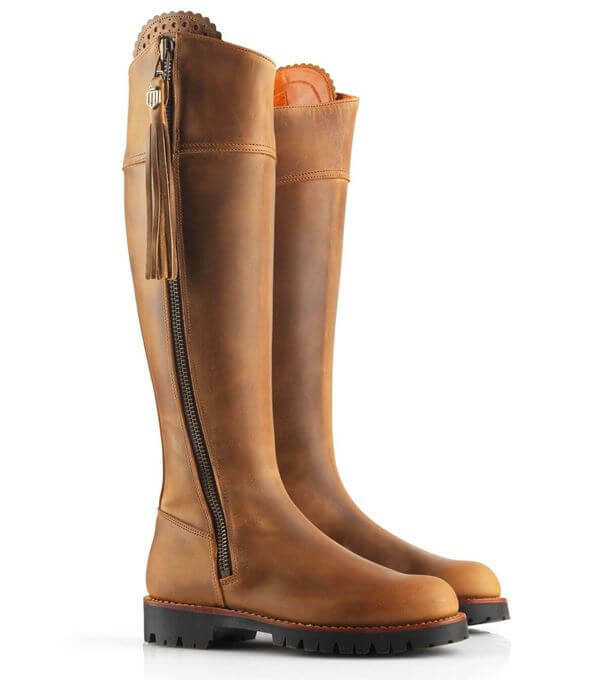 The decision to stock Fairfax and Favor here at Out and About was a unanimous choice, as the brand supports all the qualities we look for in our house hold names, handcrafted leather, style, luxury and comfort. Country with a twist and the elegance of city fashion. The brand is still growing, from the success of the orginial Regina boot, through to the men’s loafers and into the accessories department which makes this brand not only the hottest style icon about at present, but a timeless piece of artwork and a true fashion statement. We stock a wide range of Fairfax and Favor products, also offering a special orders scheme whereby we are able to order in any other items from Fairfax and Favor, even if we do not hold this in stock. We pride ourselves on our relationship with the brand and our main priority is ensuring we can offer the best shopping experience and the highest customer service. This brand is stocked in our Ardleigh and Worlingworth branches. 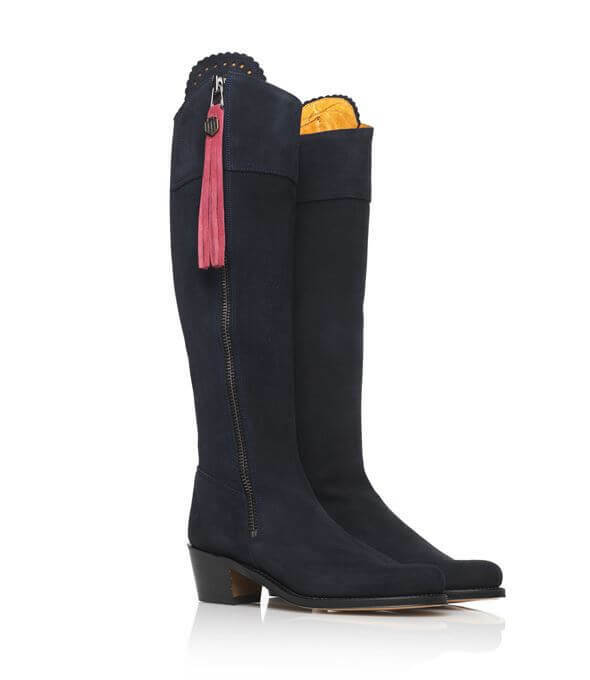 The Heeled Regina Boot, accessorised with a pink tassel. 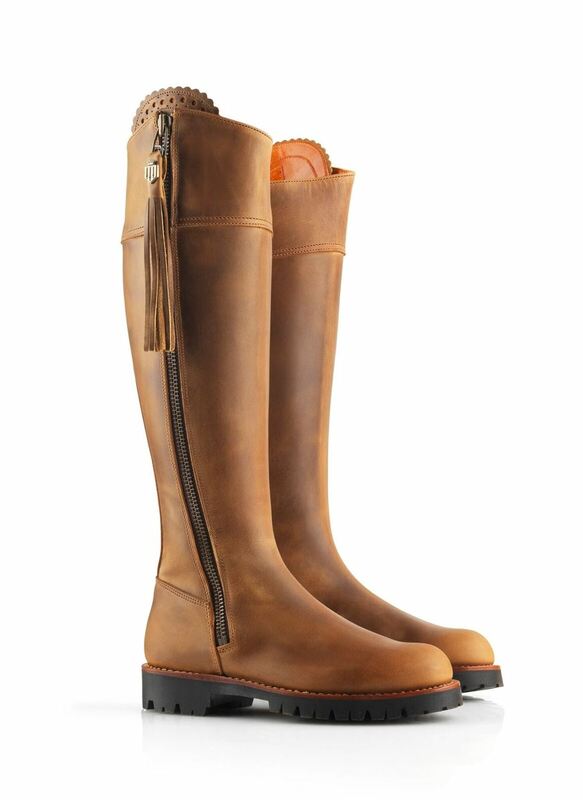 The boot is available in navy as shown, tan, chocolate or black. All beautiful and best sellers. 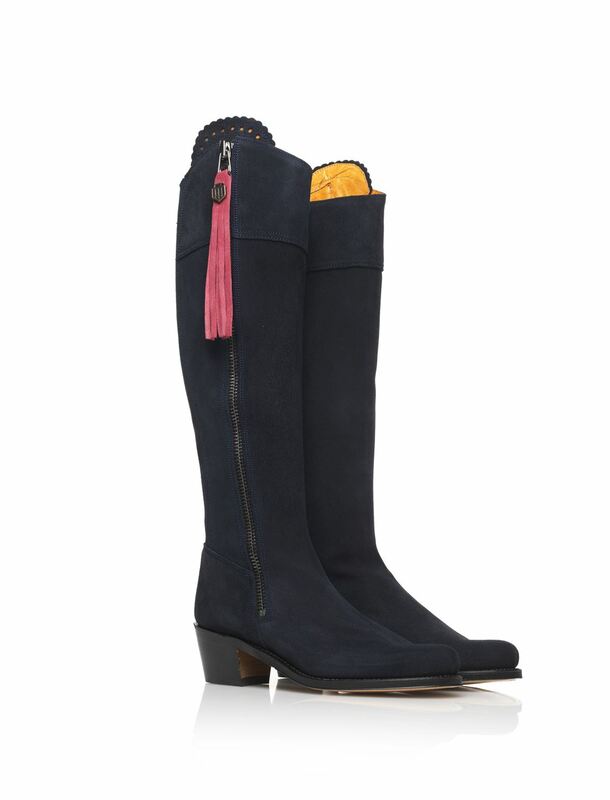 We love the interchangeable tassels - allowing you to tie in your boot with any choice of outfit. The Imperial Explorer, the winner of the 2017 New Footwear Product award at The Shooting Industry Awards is carefully handcrafted in waxed leather and lined with a water resistant membrane. Now stocking Sporting Fit range in Tan.